This new data management tool from SAP enables the user to analyze large volumes of data from multiple different sources and systems. The software does not require the data to be pulled, centralizing only the processing not the storage. Although, others have coined the ‘Data Hub’ term before SAP are taking an alternative approach by leaving the required data in situ rather that importing it all as with Cloudera and MapR. They also boast being able to draw from a wide variety of sources such as; CSV files, cloud services and web API services creating a data pipelines for the data to flow through. The software has replaced the traditional workflow scheduling system with a graphical tool to orchestrate jobs, restart and roll back on tasks when needed. This system accelerates the user’s ability to deliver intelligent data with metadata management strategies that improve data visualizations and data consumption. The system delivers trustworthy enriched and refined data, on time to the right user. This all sounds so streamline and efficient but, ‘my company don’t use SAP’ I hear you say. No problem. The SAP Data Hub is compatible to be integrated with third-party ETL processing products. The only things you will have to purchase at a small additional cost is SAP’s in-memory database engine HANA. 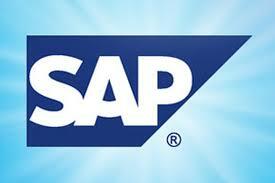 For those companies built of SAP then they can use their existing HANA capacity. Want to know more about SAP products, SAP Business Intelligence consulting or SAP Business Objects training, then contact our SAP team today. Our SAP BI consulting team can assist with all your data strategy and implementation needs. In addition, our certified SAP BI training team offer classic or fit for purpose SAP BusinessObjects training classes onsite or via a virtual licensed environment. All training consists of at least 50% practical hands-on labs to practice your acquired skills. Our experienced team have over 20 years business intelligence and big data experience to help with any challenges you face in the competitive information economy. For more information about ExistBI’s BusinessObjects Training and Consulting services, call your nearest office: US/Canada: +1 310 683 0115 | UK/Europe: +44 (0)207 554 8568 or complete our contact form. This entry was posted in Blog on January 23, 2019 by Exist Business Intelligence.